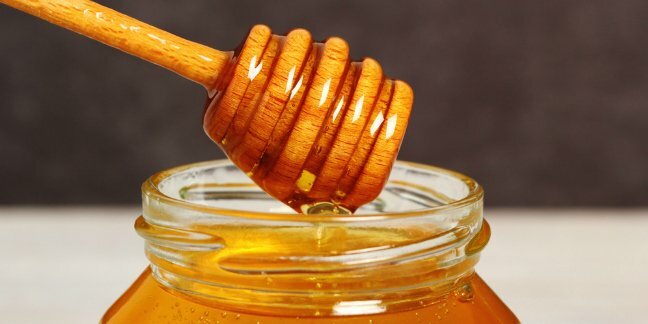 When is Honey Safe for your Baby? A commonly asked question when it comes to foods for infants is about giving babies honey. Honey should never be given to a child under the age of 12 months old. There are many who feel that honey is really not a danger to babies because in one form or another, honey has been given to babies well under the age of 12 months old. There are many cultures that continue to give babies honey almost from birth and incorporate it early into baby’s diet. We have outlined a few facts about Honey and the possible risk to babies. While we may be overly conservative and caution against giving a baby under 12 months of age honey, we recommend that you thoroughly discuss this with your pediatrician. Honey may contain Clostridium botulinum spores which can lead to botulism poisoning. Of the 145 cases of botulism reported annually in the United States, about 94 cases (65%) are infant botulism. However experts estimate these numbers could be as high as 250 cases a year, with many of these going unrecognized. 90% of babies diagnosed with infant botulism in the United States are under the age of 6 months. These are all a result of the muscle paralysis caused by bacterial toxin. If your infant has signs of botulism, it is recommended you visit the emergency room immediately as this is a life-threatening illness. Be sure to keep samples of the potentially contaminated food for testing. Symptoms typically appear within 12-36 hours after eating contaminated food, but may occur as early as a few hours and as late as 10 days. Symptoms of botulism in infants may occur up to 14 days later. Adults can handle a small amount of botulinium spores easier than babies. In adults, the amount of botulism spores ingested (if any) from honey is really quite negligible because we have mature intestines. The intestines of an adult contain enough acids to counteract the production of toxins the botulism bacteria produce. Once an infant reaches the age of 1 year or older, their intestines have a balance of acids that help destroy and fight off any toxins that the botulism bacteria produce. The botulism spores can only be killed by the high heat which can be obtained in a pressure canner. The toxin (that is produced in anaerobic conditions) can only be destroyed by boiling (WHO). So technically, honey is not safe for infants even in cooked form such as in baked foods like breads. Botulism spores will NOT be destroyed during and under household cooking methods and temperatures. Are Corn Syrup and Molasses Safe for Baby Under age 12 months? Corn syrup, and even molasses, may also contain these spores; these items are typically NOT processed and pasteurized either. If someone recommends corn syrup to alleviate constipation, try another method (See Infant Constipation article). While the incidence of botulism poisoning in infants via contaminated honey is very very rare, you should use your own judgment and comfort level when making the decision to introduce honey to your baby’s diet. Is Maple Syrup Safe for Baby Under age 12 months? Maple syrup comes directly from inside the maple tree. It is the sap of the maple tree that creates maple syrup and contamination with botulism is almost impossible. The method of making syrup from the maple sap involves intense boiling, for prolonged periods of time. The spores are not known to thrive under these boiling conditions. In fact, boiling is one of the ways that botulism spores are killed. The risk of botulism from maple syrup is virtually non-existent and maple syrup is considered safe. However, there are some pediatricians who will say that maple syrup is not good for those under 1 year of age; please be sure to ask your pediatrician about offering your baby maple syrup! Mayo Clinic – How can I protect my baby from infant botulism? US National Library of Medicine- Association between honey consumption and infant botulism. KellyMom – Can I Eat These Foods?